Did anyone figure out how to update your code OTA with the ESP32 ? I got it working on ESP8266 but the same methode doesn’t seem to work for the ESP32. Any response is greatly appreciated. So it seems im missing a library, thats why i got some errors. Did you use the info you gave me ? 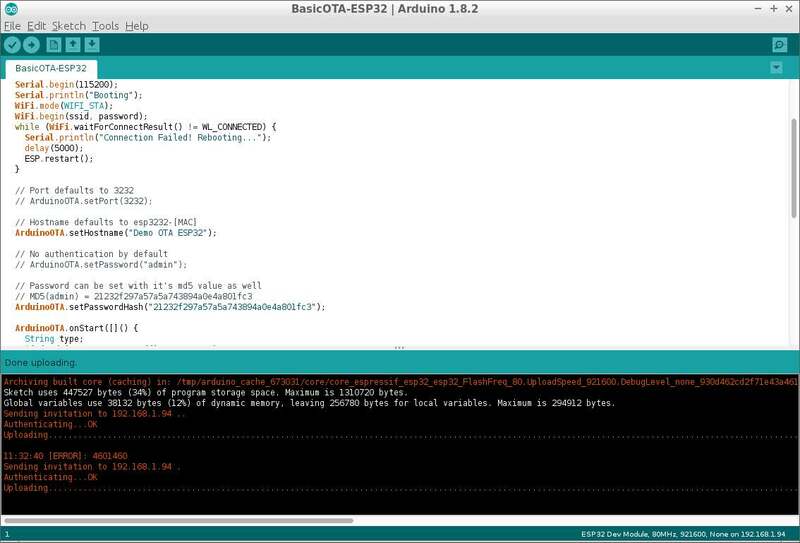 Do you use Arduino IDE or Platform IO ? iAlright so if i use Arduino IDE it works, Platform IO was the problem.